Rosemary R. Thomas, age 86, passed away Sunday, November 29, 2015, at Journey Care Hospice Facility, in Woodstock. She was born in Chisholm, MN on December 2, 1928. She was raised in Hibbing, and moved to Chicago in 1946. Rosemary moved to Round Lake Beach in 1969. She loved quilting, sewing, and traveling with her husband in their motor home. Rosemary is survived by her children, Marina (Bill), Christina, Jim (Lori), Joseph C., Linda, Larry, and James Russell; ten grandchildren, and nine great-grandchildren. She was preceded in death by her parents, Albin and Mary Zalokar, her husband Joseph William “Bill”, her son John, her brothers, Albin and Edward, and her sister Francis Ranger. A visitation is scheduled for Friday, December 11, 2015 from 5:00 p.m. until 9:00 p.m. at Strang Funeral Chapel & Crematorium, 410 E. Belvidere Road, Grayslake, IL 60030. The funeral service will be held privately at Ascension Catholic Cemetery 1920 Buckley Rd. Libertyville, IL. Interment to follow. In lieu of flowers, masses would be appreciated. For more information please log onto www.strangfuneral.org or call (847)223-8122. 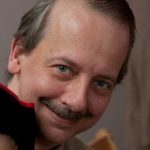 Mark R. Jones, 50, a resident of Mundelein, IL, passed away November 24, 2015. He was born January 1, 1965 in Woodstock, IL to Ronald and Judy Jones. Mark loved trains, being on the water, and spending time with his grandchildren. Mark is survived by his wife of 29 years, Sallie, his parents Ronald and Judy Jones, his daughters Brigette Harrison and Melissa (Alan) Lenczycki, his grandchildren Ruth and Margaret Harrison and Mark, Gene, and Kent Lenczycki, and his siblings Todd Jones and Cary Jones. A visitation is scheduled for Monday, November 30, 2015 from 5:00 p.m. until 6:00 p.m. at Strang Funeral Chapel & Crematorium, 410 E. Belvidere Road, Grayslake, IL 60030. The interment will be held privately. In lieu of flowers, the family requests all donations be made to https://www.gofundme.com/supportformjones. For more information please log onto www.strangfuneral.org or call (847)223-8122. Surrounded by her loved ones, Sunitha Singh, age 42, passed away Tuesday, November 24, 2015 at her home in Gurnee. She was born on May 19, 1973 in Mysore, Karnataka, India to Krishna Singh and Yeshoda. Sunitha Singh was the type of person that could talk to anyone. She was well liked by all her colleagues. She would always keep everyone happy. She always says she had a good life because she had her family and friends—all this love around her. More than herself, she always strived to be there for those around her. She love to study and learn, and she had obtained her Masters in Business Administration and worked in a Healthcare company for years, putting her knowledge to good use. She loves to cook; her eldest daughter (as a child) used to say that she was the best cook in the whole wide world. She recently had a newfound love of writing; she wrote down her emotions and beautiful thoughts in her journal. She is one of the most selfless people. She worked hard for others; she strived to work for children and women in more impoverished places, keeping her India values and traditions despite her being far from her hometown. That’s just the type of person she was. She is a great mother and wife. She would listen to anything you needed. She was always there for anybody; it’s as if she is still here for anybody who needs her as well. She always put family first and lived by her true values her whole life. She is survived by her husband of 20 years, Satish, whom she married on December 4, 1995 in Bangalore, India and her two children, Saniya Singh, 7, and Sanjana Singh, age 19. Friends of family may visit on Saturday, November 28, 2015 from 10:30 a.m. until the time of the service at 12:30 p.m. at Strang Funeral Chapel & Crematorium, 410 East Belvidere Road, Grayslake, IL 60030. For information, please call 847-223-8122 or log on to www.strangfuneral.org. JoAnn Sweeney PhD, passed away on Saturday, November 20, 2015 from complications of heart disease and cancer JoAnn was 83. 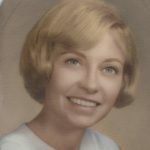 JoAnn was born on August 18, 1932 to Clair and Margaret Sweeney (nee Sargent) in Milwaukee, Wisconsin. JoAnn graduated from the University of Wisconsin-Milwaukee with a BA in Latin studies. She furthered her education and received a Master’s Degree from the University of South Dakota. She also received a Master’s of Library Science Degree from the University of Wisconsin- Madison. JoAnn taught Latin at North Chicago High School and went on to Loyola University to teach Greek classics to graduate students. It was at Loyola University JoAnn received her PhD, Doctor of Philosophy, Greek classics. JoAnn traveled the world to fulfill her classical studies by attending schools in Rome, Italy, and Barcelona, Spain. Survivors include her sister Kathleen Sweeney of Grayslake, Ill. JoAnn was preceded in death by her aforementioned parents, and her grandmother Mary Kelley. Many Friends and family will miss her. Funeral arrangements are private. All funeral arrangements were entrusted to the Strang Funeral Chapel 410 E Belvidere Rd, Grayslake, Il, 60030 for more information please call 847-223-8122. Donations may be given to The Red Team at Advocate Hospice Lake Zurich, 365 Surryse Road, Suite 120, Lake Zurich, Il 60047. Audrey F. Haywood, 80, a resident of Lake Villa, passed away Thursday, November 12, 2015 in Libertyville, IL. She was born June 29, 1935 in Chicago, IL to Edward and Eleanor Humble. Audrey is survived by her daughter Edie (Chris) Grammer, her grandchildren Mariah Hanna and Matthew Hanna, and her sister Kathleen Mirandi. She was preceded in death by her parents, her brother Ronald Humble, and her sister Darlene Nielsen. A memorial visitation is scheduled for Saturday, November 28, 2015 from 1:00pm until 2:00pm with a memorial service commencing at 2:00pm at Strang Funeral Chapel & Crematorium 410 E. Belvidere Rd. Grayslake, IL 60030. For more information please call (847)223-8122 or log onto www.strangfuneral.org. 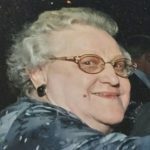 Patricia Joan Raia, age 77, a resident of Lake Villa, passed away Monday, November 16, 2015 at Advocate Condell Medical Center in Libertyville. She was on May 7, 1938 in Chicago to Henry and Sophie (nee Beller) Schneider. She was a parishioner at St. Gilberts Church. Patricia enjoyed shopping, gardening and life. But, she really loved spending time with friends and family. Survivors include her husband, John, whom she married 58 years ago on April 28, 1957 in Chicago; her children, Michelle (Brian) Curtin of Lake Villa and John (Barb) of Wildwood. She was preceded in death by her parents and her brother, Robert. All services were held privately and arrangements were entrusted to Strang Funeral Chapel & Crematorium, 410 East Belvidere Road, Grayslake, IL 60030. Memorial contributions may be made in Patricia’s name to Easter Seals or to St. Jude’s Children’s Hospital. For information, please call 847-223-8122 or log onto www.strangfuneral.org. Edward J. Sychta, 92, a resident of Grayslake, IL passed away peacefully surrounded by his family, Saturday, November 14, 2015 at his home in Grayslake. He was born July 9, 1923 in Chicago to Joseph and Lottie (nee: Urbanski) Sychta. Edward was a World War II veteran. He was a long standing President of the Vernon Hills Seniors Organization, he enjoyed the casino, but most of all he loved all of the family gatherings and being with his family. He is survived by his wife of 65 years, Victoria, whom he wed on January 28, 1950 in Chicago, his children Susan (Martin) Gallegos-Sychta of Berwyn, Margaret (Kimbrough) Clarke of Lake Villa, Mercedes (Jerome) Balcer of Palatine, and James (Sharon) Sychta of Batavia, his grandchildren Nina (Alex) Larson, Scott, Madeline, Cassandra, Claire, and Trevor, and his one great-grandson Colton. He was preceded in death by his parents, his brother Steve, and his sister Bernice. A visitation is scheduled for Monday, November 16, 2015 from 3:00pm until 8:00pm at Strang Funeral Chapel & Crematorium 410 E. Belvidere Rd. Grayslake, IL 60030. A funeral mass is scheduled for Tuesday, November 17, 2015 at 10:00am at St. Mary of Vernon Hills 236 US Highway 45 Vernon Hills, IL. Interment will follow at Maryhill Cemetery in Niles, IL. In lieu of flowers, donations may be made to the American Cancer Society. For information, please call 847-223-8122 or log onto www.strangfuneral.org.